Our Family Business Director Training Program is designed for members of the board of directors and their internal trustees, who have a higher level of fiduciary responsibility for the operation of their company. As Family Business Directors and as Family Members, conflicts may arise from the beneficiaries resulting in legal issues claiming breach of fiduciary duty. While other Director training programs address investment practices, DirectorsMarketplace’s Family Business Director Training Program includes content related to fiduciary duties, company and trust governance, understanding valuations, Budgets and Forecasts, mergers and acquisitions, and family systems best practices. 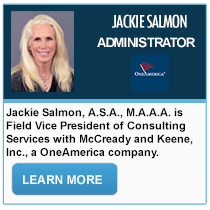 Directors also have administrative responsibilities and many of those responsibilities are covered as well. DirectorsMarketplace.org's Director Training Program is designed for all Family Business fiduciaries. We have broken down the body of Knowledge into 3 separate, but progressive levels. The first level is the designed for members of the Family Business Fiduciary Committee. The second level is for members of an Family Business Company's Board of Directors. The third and most demanding level of our fiduciary body of knowledge is designed for Internal Trustees. The Director and Internal Trustee levels must pass the prior level's exam before advancing to the next level. Module 1 : Family Business Fiduciary Basics including ERISA's Vision of the Fiduciary Role, who are the fiduciaries and their roles and understanding the roles of service providers. Module 2 : Advanced Family Business Fiduciary Topics including Communication with Beneficiaries, roles of fiduciary insurance, Family Business counsel and compliance issues. Module 3 : Advanced Family Business Director Topics includes, compensation, unsolicited offers, minority vs. majority control issues, shareholder relations/votes and prohibited transactions. Module 3 : Advanced Internal Trustee Topics involving complex transactions and issues. The curriculum has been developed by some of the BEST Family Business advisors in the United States. You can view them by touching the “Our Faculty” tab on the top right. Directorsmarketplace.org invited fiduciary and financial consultants, as well as nationally recognized Family Business, Governance, ERISA and employee benefit attorneys. This program is not intended as legal advice nor does it shield a trained fiduciary from following industry-accepted rules for conducting due diligence or other practices of managing their Family Business Company and plan. Outside consultants and attorneys play an important role in managing your Family Business plan and provide valuable independent opinion in helping fiduciaries mitigate and manage their risks. What and when do you need to communicate to your shareholders, employees and participants? What are the roles of an Trustee, Family Business Director and basic Fiduciary? What are the key activities a trustee or Director must do as a Family Business fiduciary? What should a Director or Trustee know to perform their fiduciary duties? What are some of the best ways Family Business boards and family trustees solve complex issues? What are the governance/fiduciary duties ERISA requires for all directors and trustees? Directorsmarketplace.org's Family Business Director Training Program is a self-study, online certification program. We have broken down the body of Knowledge into 3 separate, but progressive levels. The first level is the designed for members of the retirement plan Fiduciary Committee. The second level is for members of a Company's Board of Directors. The third and most demanding level of our fiduciary body of knowledge is designed for Trustees. We offer discounts for members of DirectorsMarketplace.org who desire to take the directors online course and exam, as well as discounts for groups of 3 or more, such as a full board. Do I need to be certified to be a Director? No, you do not need to take a certification program; however, recent retirement plan audits have asked for fiduciary and director training documentation. DirectorsMarketplace.org’s Fiduciary, Director and Trustee Training Program may offer you a layer of insulation when regulators or litigators question how you manage your plan, and have you been trained and educated. As a company fiduciary, you are responsible for your actions and decisions relating to your plan. You cannot delegate, release, or assign that responsibility to anyone else. Doesn't Fiduciary and/or D&O insurance protect me? 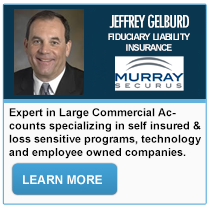 Fiduciary and Directors & Officers Liability insurance are separate policies, and are restrictive and limited in its scope and does not protect the fiduciary or director 100% in all matters. The Director or Fiduciary needs to ensure the plan documents or company by-laws are followed, manage the retirement plan accordingly, and adhere to the recognized fiduciary and director duties as well as an acceptable process and standards. DirectorsMarketplace.org’s Training Program provides a wide-ranging overview for many of the critical areas a fiduciary or director typically deals with: duties of a Family Business fiduciary, corporate governance, Communicating with Beneficiaries and or shareholders, Trust or plan documents, and monitoring outside service providers, just to name a few. Yes. By taking this program you will earn Continuing Education Units, which may fulfill ongoing education requirements for professional designations. Recently, Retirement plan sponsors have learned the DOL is now asking for verification that the Company's Fiduciaries, ie. the Fiduciary Committee, Directors and Internal Trustees, have received fiduciary training over the past year. The DOL has required training as part of its legal settlements, meaning the fiduciaries are required to identify such programs, subject to the Department's approval on a facts and circumstances basis. One approach to meeting this requirement is to invite an ERISA Attorney for a training class. Our approach is to avoid the challenges of finding the budget and the staff time to schedule an onsite training and testing program. We designed our process as an internet based, fiduciary training program that provides a certificate showing that the individual studied the program and passed a test. Our authors and faculty are well known advisors and know what content the DOL seeks in documentation. DirectorsMarketplace.org has broken down the modules into three progressive fiduciary groups: 1) Members of a Fiduciary Committee, 2) Members of the board of directors, and 3) the internal trustees. In order for the internal trustee to meet our standards of the body of knowledge, they must be trained and must pass the exams of the Family Business Fiduciary and Family Business Director modules before being trained and tested on the Trustee module. Family Business Directors must pass the Fiduciary modules before taking their Director exam. The directors have the power to appoint fiduciaries, including the trustee. We consider the internal trustee(s) as the highest level of governance in an family owned company because they have the responsibility of setting the company's stock valuation price, they vote to elect board members, and they are responsible for ensuring the company’s retirement plan's documentation is properly maintained. While the board of directors is the managing body, the shareholder may be family members or the trustee, who elects or appoints the directors. Sponsor companies, Boards of Directors, plan fiduciaries, and retirement plan committee members should begin (or continue) to implement Best Plan Practices to address retirement plan matters. They must remember that they still have liability even if they hire a third party to administer the plan. 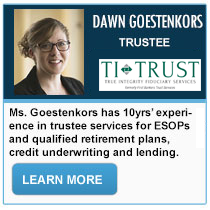 the duty to act in the primary interest of the ESOP participants or family trust beneficiaries and in a prudent manner (i.e., especially when the employer stock price declines due to (a) a turndown in the economy or (b) an unexpected increase in the ESOP-related repurchase obligation). 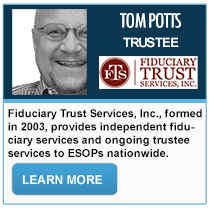 It is not entirely clear what the standard of fiduciary care is with respect to the employer stock held in an ESOP or family trust. This is an area of the law that is still evolving. The courts continue to establish principles as litigation moves through the legal process. 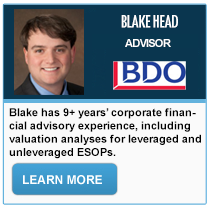 Accordingly, many ESOP and family business fiduciaries have implemented a process that documents the fact that they are monitoring: (1) the employer corporation’s stock performance, (2) the business conduct of the employer company, and (3) the financial performance of the employer company. 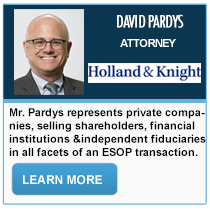 From a Best Plan Practices standpoint, it is important that the ESOP or family fiduciary (1) document his, her, or its actions and (2) maintain permanent records of his, her, or its deliberations. 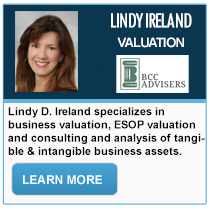 If the ESOP or family trust is holding publicly traded stock, it is important that the participant’s decision to invest in employer stock becomes subject to ERISA Section 404(c). ERISA Section 404(c) generally provides that, if a retirement plan permits participants to exercise the investment control over their accounts, no person who is otherwise a fiduciary will be liable for any loss that results from the participant’s decision to invest in employer stock. ©2019 Directors Marketplace All Rights Reserved.